How Much Money Do YouTubers Make? | Is It Worth Starting YouTube Channel In 2019! HomeYouTubeHow Much Money Do YouTubers Make? | Is It Worth Starting YouTube Channel In 2019! How Much Money Do YouTubers Make: Many people talk about wanting to become youtubers, a profession dreamed mainly by young people, who grow up watching the evolution of those digital influencers. In the end, the glamor that involves the whole routine of people like PewDiePie and Willyrex draws much attention from who dreams of being famous. However, something that is not widely publicized and that most people do not know is about how much a youtuber earns. Well, have you stopped for just a moment to think that, despite all the benefits shown by youtubers, it is possible that living only from the creation of content in YouTube video format may not be as profitable as you imagine?? In today's post, we will help you better understand how much a youtuber earns so you can decide if it is still worth working only on that network. What Is It To Be A YouTuber? Before understanding how much a youtuber earns, it is important that you clearly know what it means to be a youtuber. Many people believe that only who has a successful channel on YouTube can be called youtuber. But regardless of how many followers you have on your channel, if you produce content in video format on that network then you are already considered a youtuber. It does not matter if you have created a channel to spread your brand, to talk about everyday matters or distribute educational material. Just the fact that you post your videos on YouTube already makes you a youtuber. What separates you from people like El Rubius in Spain, Yuya in Mexico, and Juan Pablo Jaramillo, in Colombia, is the number of followers and their commitment to these channels, which makes them better known than you. Have you seen the number of subscribers each one has? Amazing! Now that you have understood that all those who have a YouTube channel and publish videos on that network are youtubers, it remains to know how much they earn, perhaps one of the most common "unknowns" for those who are just starting out and want to make money online. There are many rumors that speak of astronomical sums earned by famous youtubers. And those rumors become even more real when we perceive changes in the way of life of some people known on YouTube ... They travel more, make public appearances, wear famous brands, etc. Of course it is possible to make money with videos on YouTube, but the truth is that this network does not pay as well as we imagine and requires a lot of work from its content producers. The Social Blade site, specialized in reporting how much a youtuber earns from anywhere in the world, shows really high speculations of values received by those content producers in video format. Yuya has more than 20,000,000 subscribers, its videos have been viewed more than 2,000,000,000 times, it has been using the network since September 2009, it earns between 5 thousand and 88 thousand euros per month, and between 60 thousand and 1 million euros. Luisito has more than 12,000,000 subscribers, his videos have been viewed more than 1,000,000,000 times, he has used the network since April 2012, he earns between 22,000 and 359,000 euros per month and, between 269,000 and 269,000 euros per year. 4 million euros. The Werever Tumorro channel has more than 14,000,000 subscribers, its videos have been viewed more than 2,000,000,000 times, it has been using the network since February 2007, it earns between 10 and 172 thousand euros per month and, per year, between 129 thousand and 2 million euros. Elrubius OMG has more than 27,000 subscribers, its videos have been viewed more than 6,000,000,000 times, uses the network since December 2011, earns between 20,000 and 319,000 euros per month and, between 239,000 and 3.8 million per year. of euros. The AuronPlay channel has more than 6,000,000 subscribers, its videos have been viewed more than 1,000,000,000 times, it has been using the network since February 2006, it earns an estimated between 9,000 and 150,000 euros per month and, per year, between 113 thousand and 1.8 million euros. The Luzugames channel has more than 7,000,000 subscribers, its videos have been viewed more than 1,000,000,000 times, it has been using the network since May 2013, it earns between 3,000 and 57,000 euros per month and 42 per year. thousand and 687 thousand euros. The Pautips channel has more than 5,000,000 subscribers, its videos have been viewed more than 369,000,000 times, it has been using the network since July 2011, it earns an estimated between 5 thousand and 84 thousand euros per month and, per year, between 63 one thousand and one million euros. Juan Pablo Jaramillo has more than 4,000,000 subscribers, his videos have been viewed more than 290,000,000 times, he has been using the network since September 2011, he earns between 3,000 and 59,000 euros per month and, per year, between 44 thousand and 713 thousand euros. Ami Rodriguez, on the other hand, has more than 3,000,000 subscribers, its videos have been viewed more than 400,000,000 times, it has been using the network since July 2009, it earns between 9,000 and 147,000 euros per month and, for year, between 110 thousand and 1.8 million euros. Germán has more than 33,000,000 subscribers, its videos have been viewed more than 3,000,000,000 times, it has been using the network since September 2011, it earns between 8,000 and 137,000 euros per month, and between 103,000 and 1.6 million euros. Pollo Castillo has more than 1,000,000 subscribers, its videos have been viewed more than 113,000,000 times, it has been using the network since July 2009, it earns an estimated 458 to 7.3 thousand euros per month and, between 5.5 and 87.9 thousand euros. The whatthechic channel has more than 3,000,000 subscribers, its videos have been viewed more than 319,000,000 times, it has been using the network since August 2011, it earns between 2.7 and 43.6 thousand euros per month and, per year, between 32.7 thousand and 522.6 thousand euros. The channel of Andy Sane has more than 1,000,000 subscribers, its videos have been viewed more than 141,000,000 times, it has been using the network since January 2011, it earns an estimated 1.2 to 49.7 thousand euros per month and, per year, between 14.8 thousand and 236 thousand euros. According to estimated data of the network, for every 1,000 (thousand) clicks of CPC to the video, the youtuber responsible for that content receives in Spain, approximately, between the 0.20 cents of euro and the 3 euros, while a youtuber North American earns about $ 4.50. In Latin America, the values are lower. A "view", which is the definition of who saw your video, is only counted when a YouTube user clicks on an ad available in your video or watches at least 30 seconds of a video ad (those that appear before its content itself). That being the case, even if you have more than 3 million registered on your channel, what you earn on YouTube may not exceed $ 5,000. Of course, that amount of money is really high ... but do not think that to get to that it is enough to record videos in any way and with any subject. We all know that to be successful requires much study and dedication. In addition, winning as a famous youtuber overnight is another myth, one more, of the Internet world. The big problem of who is starting on YouTube is to think that only registered and likes in their videos make you earn a lot. But, as you can see, having only fame and being well received by the public is not enough to keep the profession of youtuber as your only source of income. I imagine that now you will be thinking ... "So, should I give up working as a youtuber?" That is not what we want to say here. So, let's give some tips on how you can make money being a youtuber. How To Make Money Being A Youtuber? As you have seen in the previous section, it is not possible to earn money only with the "likes" of your followers in the videos. But there are other ways to get to work as a youtuber and earn money. Public media are publications that you make on your YouTube channel and earn money for it. We explain it better! Some companies have an interest in making alliances with youtubers to spread their brands, mainly if the channel is from the same niche and if the youtuber has many followers of the target audience of that company. There is no exact value for that, everything depends on the agreement between you and the brand that will be disclosed on your channel. Even, there are some companies that exchange that type of advertising by products, which are made available to the youtuber. The important thing in this type of strategy is to choose a product or service to disclose that is related to the interests of your buyer person, so that the advertising does not hinder the user's experience in your channel. From the moment a youtuber becomes very famous, it becomes recognized in several places where it goes. This happens because followers treat these people as celebrities and want to meet them. So, if you have many subscribers and "likes" in your channel on YouTube, even if that does not give you profits in that network, you can bill with your public appearances in some events. Today, it is very common to see stores promoting parades and doing their promotions with the "Internet celebrities", who are people known for their channels. Generally, these brands pay for youtubers to appear at a store opening, for example, or even offer products in exchange for those appearances. In addition, there are also companies that pay for youtubers to lecture and tell about their career in some events related to the digital market. Regardless of the type of public appearance, the fact is that if you are famous on YouTube, you can earn money by going somewhere to represent a brand. The other way a youtuber wins is by visualizations, which is the way we explained above. Basically, what you need to do is set up your channel to bill with the views of your videos. 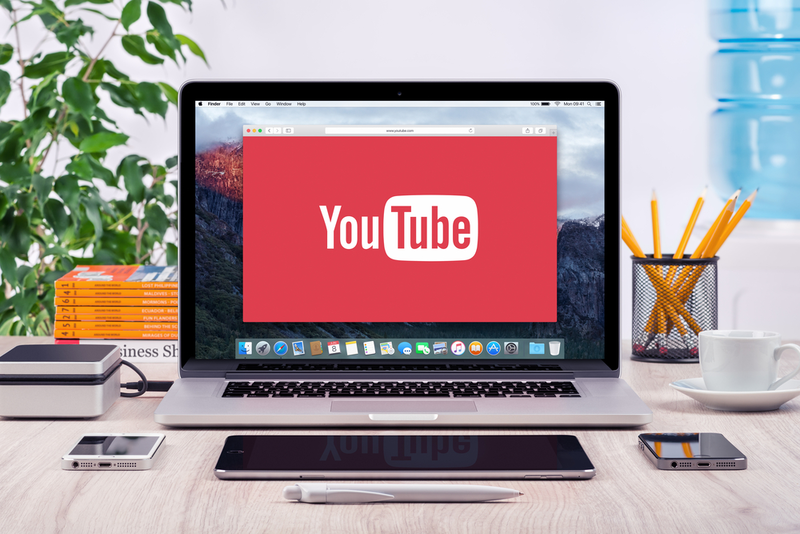 By doing so, you allow YouTube to publish other people's ads in your videos, either by banner format, as suggestions on the side and bottom of the videos, or with videos of a few seconds before your own content begins. (To learn more about ads and suggestions related to your content, read our full post on how to use native advertising in your disclosure strategy). The big problem with this type of gain is that recently Google has changed some rules and now, for a channel to start billing with third-party ads, it is necessary to have at least 10 thousand views. That is why you have to work on the dissemination strategy of your channel, and that is done with content, our next topic. How To Increase Engagement In Your Channel On YouTube? Regardless of the way you choose to make money with YouTube, you have to keep in mind that you will not be able to check in if your content is not interesting and of high quality. Therefore, the most important thing in the strategy of creating videos is knowing how to do this with relevant content for your audience. But do you still not know what it takes to have a good video? So, be careful and follow the advice that we are going to pass next. Many people believe that the first step in creating a successful video is to try to clearly define who your target audience will be. But that does not always work. It may be that you are thinking of reaching a certain audience and, after publishing your videos, you realize that the people who look at you are very different from who you imagined. That's why the first element that you have to think about when creating your videos is the content. After you decide what you will talk about and see the reactions of people in your videos, you will perceive who your audience really is. Still thinking about the content of your videos, it is very important to define your area of action and, if possible, choose a micro niche to talk about very specific topics. This is because the more specific you manage to be, the more likely it is that your material will serve a well-engaged audience that really wants to know more about what you have to say. Have you heard the expression "do more of the same"? Of course, on the Internet (and anywhere else), nobody likes to always receive the same content and information. What is the use of talking about the fitness world just because it is fashionable now? Of course, you can innovate in a saturated niche to make videos about what you like most. What you need to do is study the digital market to understand what is still missing and, thus, find your differential and then create your own content, without copying other channels. Even if you are the most creative person in the universe, at a certain moment we exhaust ourselves artistically. And it is at that moment that you need to recognize your limits and think of ways to continue creating content in video format. Think of small improvements you can make, for example: hire a scriptwriter, change the title of your videos, change the editing style you already do, change the days of your publications or even make a completely different video than you are used to. Of course changing overnight can frighten your followers and even you. Meanwhile, if you realize that it is a good strategy, think about doing it and, who knows, manage to change your target audience and your niche. Your videos need to have a publication periodicity because people follow your channel because of their content, and they want to have access to your videos whenever they can. That is why you have to have an editorial calendar and, if possible, choose specific days for your publications, so that videos have a record and users know when you will publish new material. Those are just some ways to keep your audience always committed to your content. There are several other tips to make a good video, which you can read in our post about the best techniques to create videos. Is It Worth Being Youtuber? The creation of content in video format is very interesting, mainly because people are consuming more and more audiovisual material, which is easy to assimilate and can be seen from anywhere in the world (in the case of YouTube, as long as you have Internet access). Some people are very easy to transmit information, either with a video, a text or other formats of materials. In addition, getting financial independence by working with something that makes us happy is the desire of most people. Having a channel on YouTube is an excellent strategy to increase your audience and get more hooked with your business. It is always important to educate people about the solution that your products or services can present. We know that if you got here it's because you like it and you have facilities to record videos, but you still do not know if it's worth working just like youtuber. The important thing you have to keep in mind is that there are other possibilities to work with videos without necessarily being on YouTube. And to understand it even better, read our full post on how to make money with videos on the Internet - in addition to YouTube.